It’s orange time of year. Just when the body is at it’s lowest, mother nature responds with the season of vitamin C rich fruit. Granted they are not native to our shores, but at least the majority we import are European. The Seville oranges make such beautiful marmalade, but the blood oranges make beautiful ANYTHING. 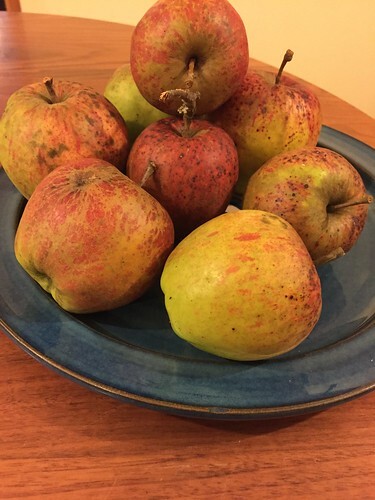 The distinctive red flesh colour is due to the presence of anthocyanins (a family of antioxidant pigments not normally associated with citrus fruits. The flesh develops its characteristic maroon colour when the fruit develops with low temperatures during the night. You can use them simply as a snack, or add the juice to a fancy cocktail. 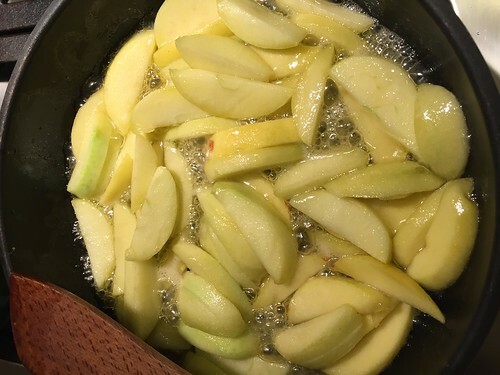 They are really good as an ice cream or sorbet ingredient too. And can be used where an orange is called for in any baking or cooking. But I feel unless you can show off their beautiful colour, just use ordinary oranges and save the blood oranges for the extraordinary occasion. I’ve made a couple of things to showcase the most fabulous of citrus fruits. I feel slightly bad as I regularly turn to the humble lemon for a last minute dinner or dessert. 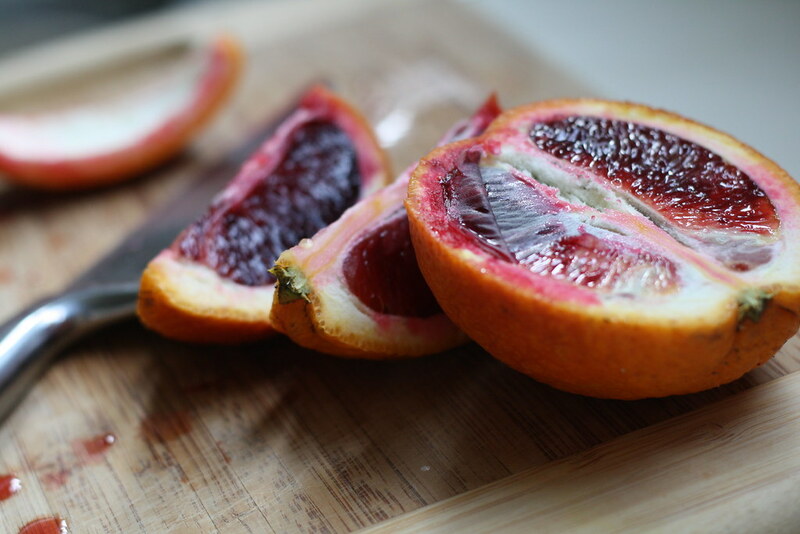 But there’s no denying it, the blood orange has a certain je ne sais quoi. First I made Richard Bertinet’s Blood Orange Tart from his deliciousy lickable book “Patisserie Maison“. I wasn’t entirely happy with the colour. But the flavour of the curd was like velvet. 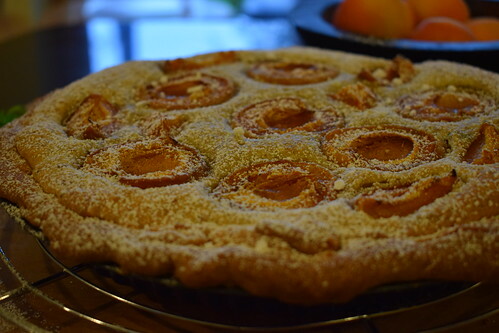 A real treat worthy of the effort involved with any tart. And as I had leftover oranges (*smiles*) I decided to be even more adventurous and try some macaron. I filled them with both raspberry curd and blood orange buttercream. And they were DIVINE- and that’s saying something as I’m not the biggest fan. I ‘m a fan of frangipane. And never would have been drawn to it when I was younger. But for me it’s almost a perfect combination of spongelike texture with a pastry base. A match made in heaven once there isn’t an over-powering taste of almond essence. Ugh. Double ugh in fact. The earliest mention is in a French Cookbook in 1674! Some believe that the name bears homage to St. Francis of Assisi. That a noblewoman named Jacopa da Settesoli brought some to him on his death bed in 1226. 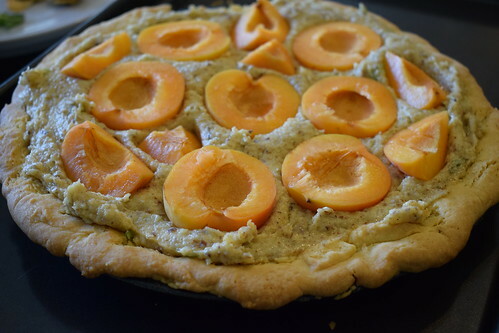 I like to make this tart a little hap hazard, no need for perfect pastry crust or to get the ruler out to measure the distance between the apricots. So I suppose it’s a pie really. The basil gives a lovely perfume to the apricot filing. And somehow makes it a little less sweet, which, unlikely as it seems, is a good thing! To make the pastry, mix the flour, butter and a pinch of salt into your food processor. Pulse until the mixture resembles breadcrumbs. Add the sugar and pulse again. Add the vanilla, egg and 1-2 tablespoons of cold water, and pulse until the dough just comes together. Tip out and shape into a disc. Chill for 30 minutes, then roll out the pastry between two sheets of greaseproof paper, as this pastry is very crumbly. 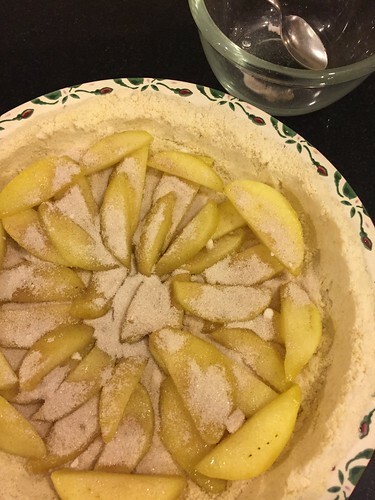 Line a loose-bottomed tart tin with the pastry, pressing it into the sides. Chill for at least 30 mins. Meanwhile, prepare the frangipane. Using electric beaters if you have them, beat the butter until creamy, then add the sugar and continue beating until light and fluffy. Gradually add the eggs, beating well after each addition, then stir in the almonds, flour, and the torn basil leaves. Heat oven to 160oC fan 4 and put in a baking tray to heat. Spoon the frangipane into the tart case and smooth. 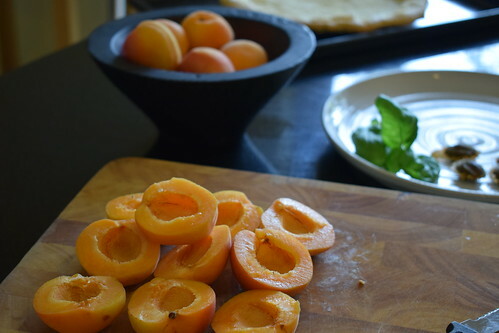 Poke the apricots into the frangipane. Bear in mind it’s a very rustic tart. Transfer to the baking tray, in the oven, and bake for 40-50 mins (cover with foil after 30 mins if the tart is getting too dark) until the fruit is tender and a skewer poked in the frangipane comes out clean. Leave the tart to cool in the tin for 10 mins, then transfer to a wire rack. Serve warm or cold, dusted with icing sugar, with a dollop of softly whipped cream mixed with a little vanilla bean paste, if you like. 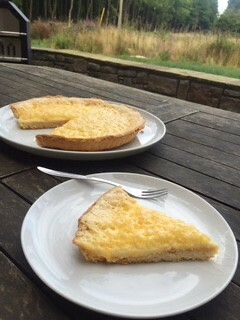 Custard Tart is quintessentially English. And delicious. And not entirely the easiest thing to make. Felicity Cloake- she who writes so well for the Guardian, analysed a myriad of recipes and came up with her “best of“. And I agree with her on most of it. But I think for me it’s about balance. I use a sweet pastry, and a very rich custard filling. But without any additives of cinnamon or citrus. Just the barest of gratings of nutmeg in the filling. 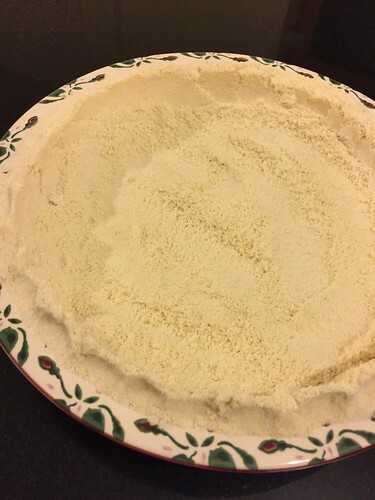 To make the pastry, mix butter into the flour with a pinch of salt until it resembles breadcrumbs. I use my Kenwood for this. Add the sugar, egg and milk and bring together to form a dough. Wrap in Greaseproof paper and refrigerate. On a lightly floured surface, roll the pastry out and use it to line a 20cm tart tin, leave 2cm of pastry hanging over the edge. Chill for at least 30 mins, with the baking beans inserted. Heat oven to 150oC fan. Bake blind for 20 mins, then remove the beans and continue to cook for a further 10 mins until the base is golden with no hint of dampness. Remove from oven and reduce the temperature to 120oC. Bring the cream, milk, vanilla pod, and the small grating of nutmeg to the boil. Beat the egg yolks with the sugar until pale using the whisk attachment then pour the hot milk and cream over, beating slowly as you go. Leave to settle in a jug. 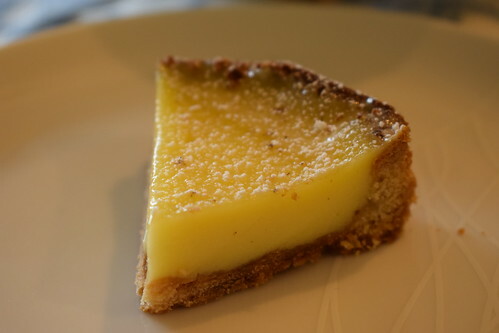 Carefully pour the custard into the tart case, grate some more nutmeg over the top and bake for about 35 mins or until just set in the middle. A little like Brownies, you are looking for a wobble. Remove from the oven, then leave to cool completely before serving in slices with a nice cup of tea. Yummy- but not quite right! Of course, nothing ever goes entirely to plan. I had got a little carried away with the whisking of the tart testing part 1. And sure there were lovely ribbons in the bowl. But of course you don’t WANT bubbles in it, as you loose the gorgeous silky texture. So there had to be a round 2….. 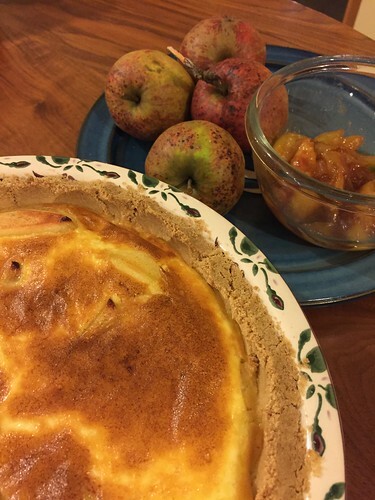 This is the nicer custard but the “slightly” overcooked pastry… so the most successful of the two! Perfect consistency of custard, if I do say so myself!